Happy Tuesday, everyone! 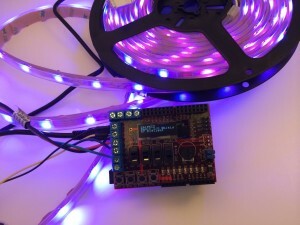 I tend to get excited about products that enable beginners to be really creative, and today’s product highlight is one I think is worth getting excited about! The shield is an add-on board that was designed to be used with the chipKIT Uno32, the uC32, or the Max 32. 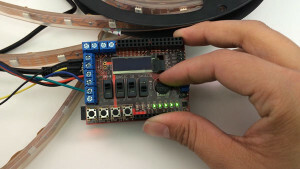 Once you connect the Basic I/O Shield to the chipKIT board of choice and download MPIDE (referenced in the video), then a world of projects are instantly at your fingertips. 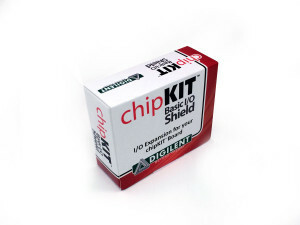 This is because of all of features that are built-into the shield. 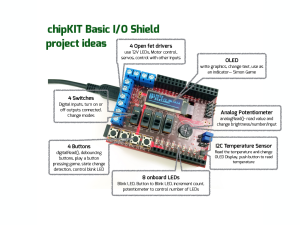 Just a few project ideas using the multiple I/Os on the shield. 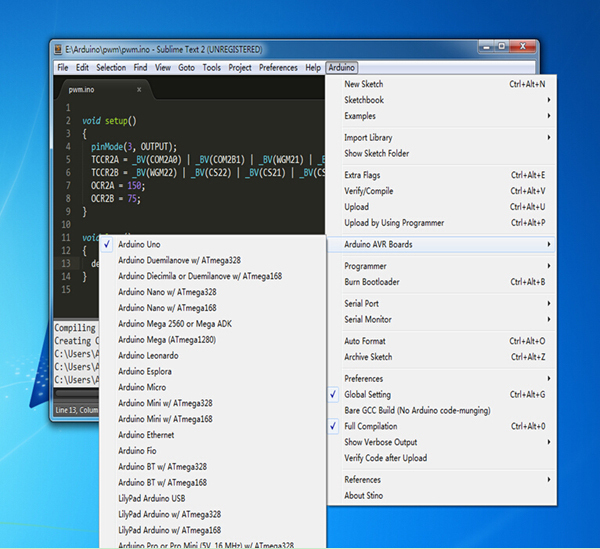 Combining them makes even more powerful projects! 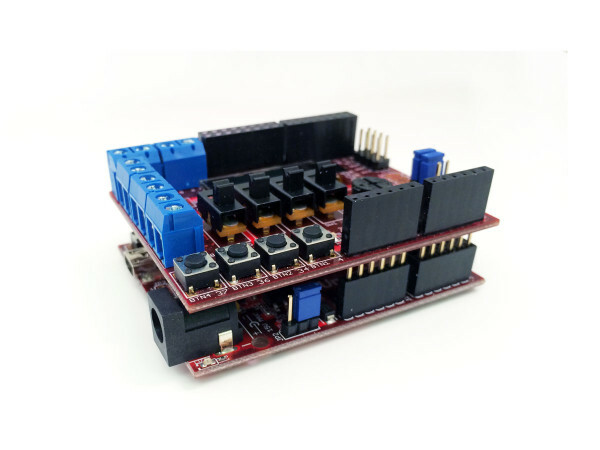 Perhaps the best part about the Basic I/O Shield is that you don’t have to spend time wiring up all of the individual components. This is great for teachers who have limited course time, if you are doing a workshop focused on the programming, or if you want to spend your time wiring up something non-traditional… like 12V Analog LEDs (see the end of post for demo)! 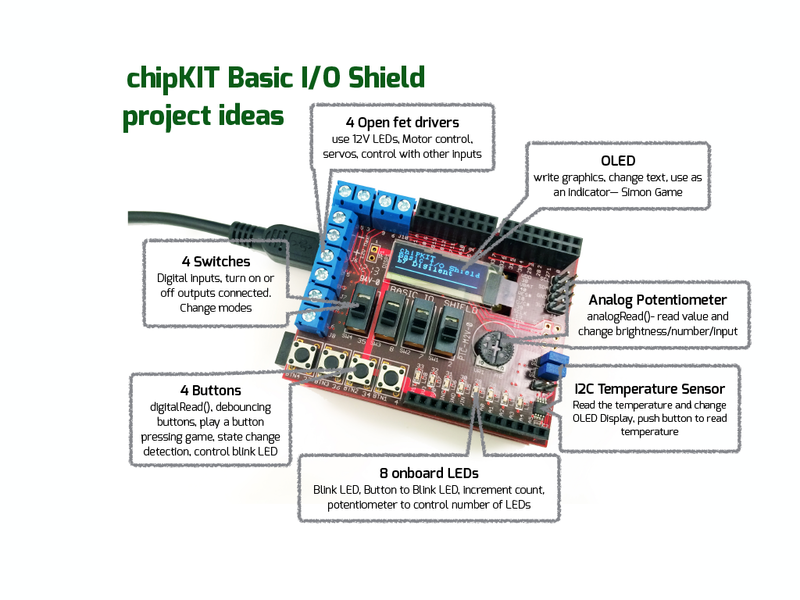 Here are a few projects that we’ve done with the I/O Shield, but we’d love to see other project ideas! in order to iterate over the pins in a sequence. Lights multiple LEDs in sequence, then in reverse. contiguous, here the pins can be in any random order. int timer = 100;           // The higher the number, the slower the timing. Combine all of the sketches together!